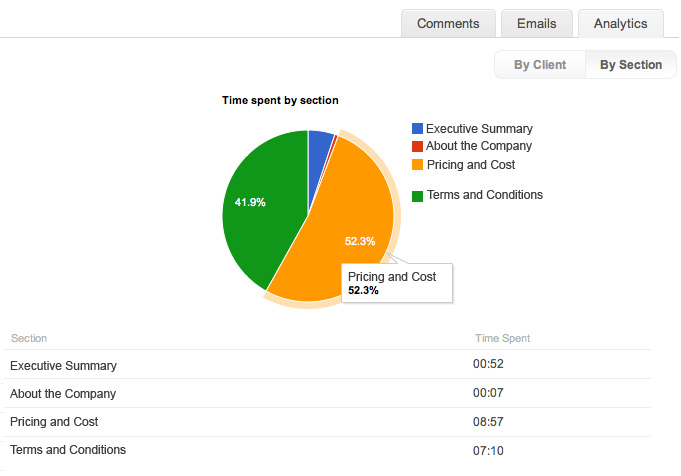 Wouldn’t you like to know what your clients are looking at within your proposals? What are they really concerned about? 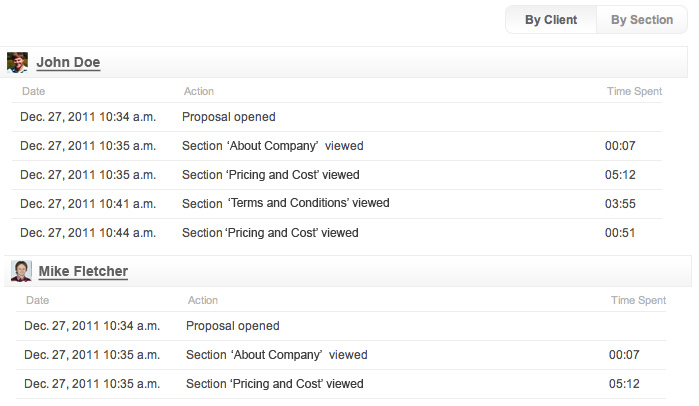 With in-proposal analytics, a new killer feature that was part of the latest release of Quote Roller, you now have visibility into these actions! Know what steps your clients have taken when opening a proposal as well as how much time they spend within each section! I’ve just created and sent the proposal aimed at offering custom web application development services to one of our clients. The next day the client opened the proposal, and today it is time to follow-up. In my next email, I’ll be asking what sections of the quote are unclear to the client as well as if they have any questions. Thanks to Quote Roller’s in-proposal analytics, I now see what my clients actually look at and what sections they don’t really care about. I can tell that two of the three decision makers have looked at the proposal, which sections they’ve looked at and for how long. That gives me an important insight into what truly matters to them. For example, this particular client spent more than 15 minutes reading the proposal, which means they’ve really took time to go through it. 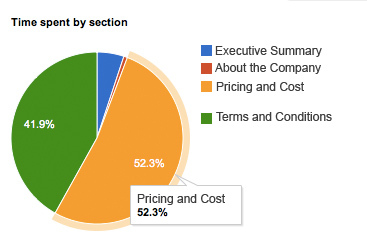 They’ve spent most of their time on pricing & costs section of the proposal, which is understandable. But what is interesting is that they spent a lot of time on the section that describes our process, rules, and terms. Most likely they’ll have some questions about that.